A pair of Sterling Silver Earrings. 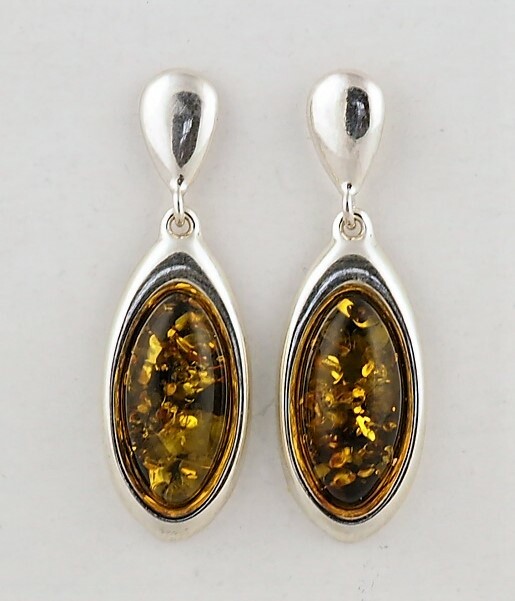 Each earring consists of a marquise shaped Amber gemstone with a bezel setting. The earrings come complete on a silver chevron drop, with silver posts and butterfly fittings.